Faced with record cold temperatures in many parts of Spain this winter, the phenomenon of energy poverty — the inability of households to meet monthly energy bill payments — has reached an alarming level across Spain, prompting local political parties, municipal governments and non-governmental organizations to take action to combat the problem. According to data made available by Spain’s Association of Environmental Sciences (Asociación de Ciencias Ambientales, ACA), with 15 percent of Spanish households paying out more than 10 percent of their annual income on domestic energy bills, more than 5 million people are living in an estimated 11 percent of all Spanish households that cannot afford to keep their homes adequately heated in winter. The hard choice between keeping their homes warm or paying the rent or mortgage and putting food on the table, says ACA, means an estimated 4.2 million Spaniards belong to the 8 percent of all households that fall behind on energy bill payments each winter, placing them in danger of having their energy supply cut off at any time by electricity and natural gas companies. ► In Barcelona, a study recently carried out by the anti-eviction activist organization PAH and the Alliance against Energy Poverty (Alianza contra la Pobreza Energética, APE) shows that women and children bear the brunt of the effects of energy poverty, with 68 percent of those negatively impacted being women, 44 percent of affected households having young children and 32 percent being households run by single mothers. 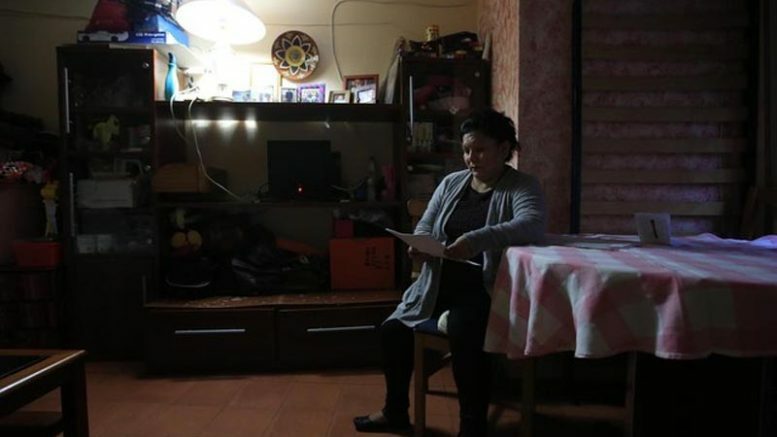 Smaller municipalities, such as Benissa in the Valencian community’s province of Alicante, are trying to fight against cuts with energy poverty clauses in contracts with local suppliers that would prohibit gas or electricity cutoffs to families who can show a temporary inability to meet their monthly payments. But those efforts are seen as increasingly less likely to prosper, given court rulings last year against the cities of Valencia and Barcelona, which had tried to include energy-poverty clauses in contracts they signed with energy utilities supplying gas and electricity to households in the cities. To hep combat the problem, the ACA has launched an informational website and a crowd-sourcing platform at www.PobrezaEnergetica.info to raise money to help individual families face down their problem of energy poverty this winter. Just Click on the link for ¡Sumate al Crowdfunding! to contribute to fight energy poverty in Spain.